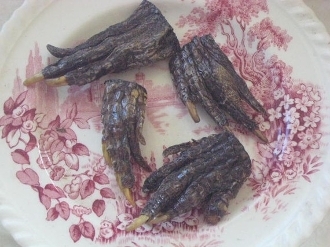 Alligator claws have long been used to enhance winnings and success. Any avenue that you could use a little help to win in, this is the charm that will do the trick! Use this curio to give you an edge above other opponents, co-workers, and competitors of any variety. Great when up for a promotion or trying to get a raise at work. Alligator charms have been used for centuries. Perhaps due to the fact that alligators have remained almost unchanged for 200 million years, and possess great strength and power. You will receive 1 whole claw in this listing. *The alligators were not killed for their claws. They are remnant parts that would have other wise been thrown away. thanks for looking!